It was my fourth year at SXSWedu. I continue to attend this annual conference to learn about innovation in education, to connect with colleagues & brands, and to see what trending topics are being discussed around the globe. 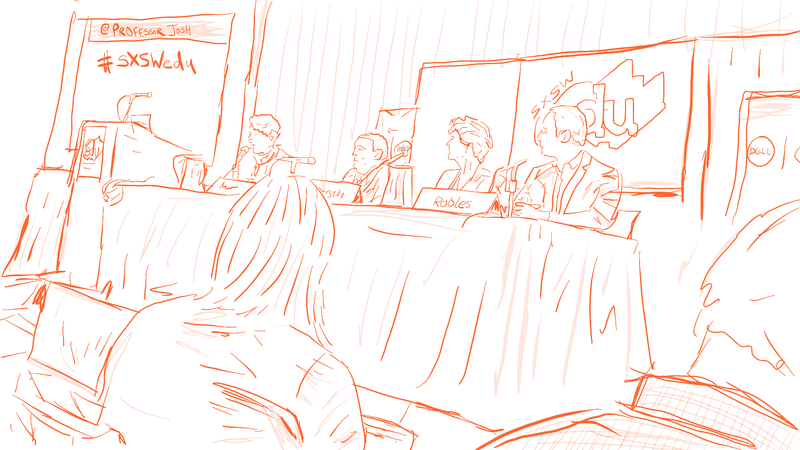 Everyone has a different perspective of SXSWedu, since it really can overlap so many parts of education, including edtech entrepreneurs, educators from all levels, and policy makers who could have an impact on the way education is run around the globe. 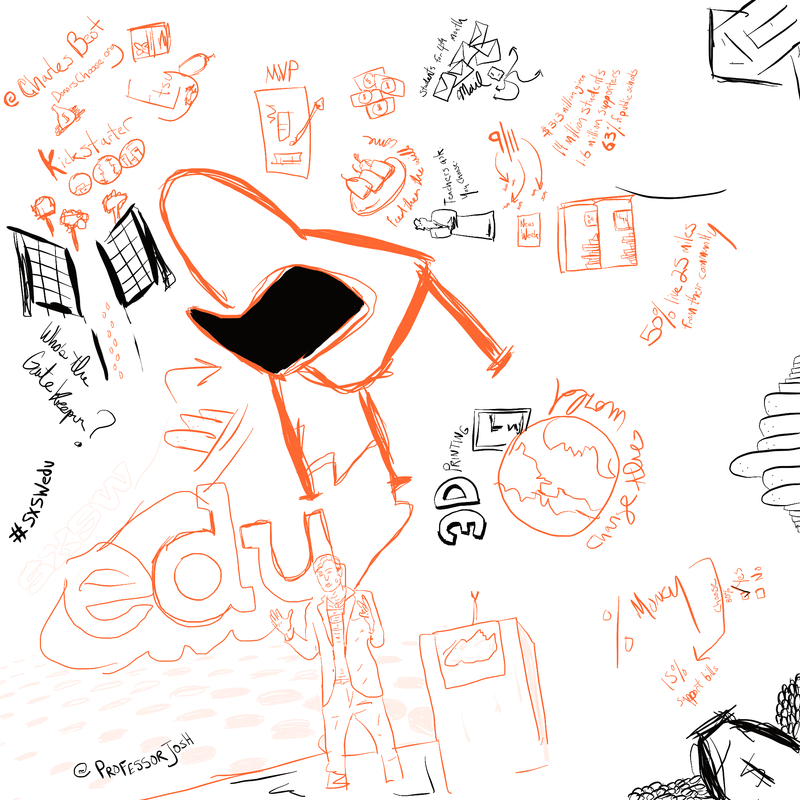 So what did SXSWedu look like in 2015 for me? Watch this video playlist quickly recapping each of my days at SXSWedu! I believe connections are key in education and blogging. I believe developing a network of people who make your life even better are the keys to success and enrichment. At SXSWedu every year I get to connect with amazing people from around the globe to learn and share with them. It could be a entrepreneur or brand in edtech, which always boils down to relationships with people. People are behind every business. People are the connection we make in life. It could be the edtech community builder who shares my passion to connect their community around innovating education and sharing the amazing things people are doing in our community. It could be my fellow educators who I speak to virtually through Twitter (@professorjosh), LinkedIn, Facebook, and other means the majority of the year until we converge in Austin to connect in real life. It could be the follower who doesn’t reach out and reply on Twitter or my blog but loves to follow my thoughts and insight into education. Connections are one of my favorite part of SXSWedu. I believe the AMA (ask me anything) style meetup hosted by Education Entrepreneurs and EdTech Austin was a huge success. Getting various edtech community builders from around the globe to share, network, and connect with others in the community interested in expanding their own. It was packed until the very end. 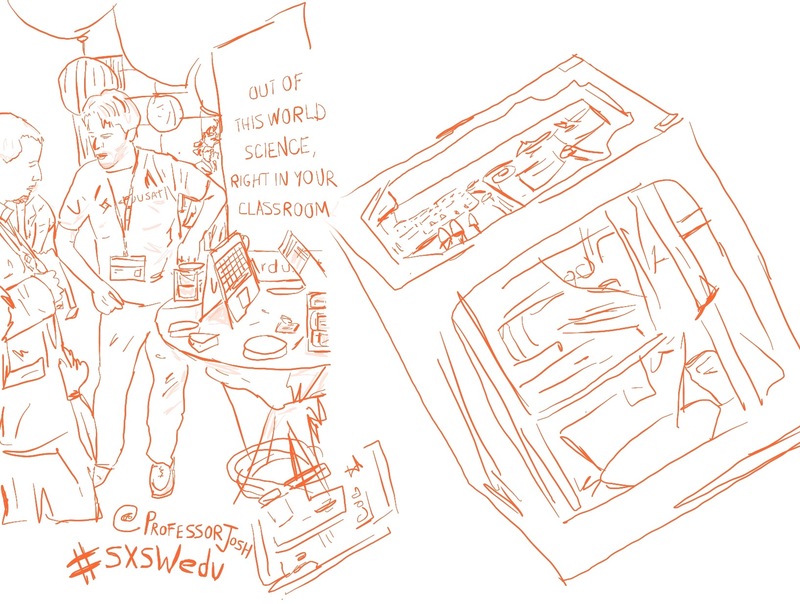 SXSWedu is a breeding ground for innovation and sharing innovation among educators and entrepreneurs. Each year I walk away with discovering new companies that have been developed to solve real problems in education. Companies like Zaption, Pear Deck, or Ideas Box competing as finalist for the LaunchEDU prizes are great examples of companies connecting with educators to make a solution reality. One of my favorite spaces each year is the Play Ground. This year it was sponsored by one of my favorite companies, LEGO Education. My entire family is are LEGO builder, collector, and fans. The Play Ground let’s various companies showcase various programs, gadgets, and software that typically are hands-on in education. Ardusat is one of those companies that help bring excitement to STEM by connecting classrooms to space. Many more companies maned the tables in the Play Ground and put on hands-on demonstration for educators throughout SXSWedu. I enjoyed the Shark Tank style presentation sponsored by EdSurge called #TeacherTank, which had edtech companies pitching to educators. Educators who are involved in the classroom should be the ones asking the tough questions to edtech companies. They should be your validation, your sounding board, and part of every decision you make. You can’t leave SXSWedu with learning. It’s very hard at times to choose between sessions, panels, and workshops happening simultaneously. Learning about how someone has implemented social media into their classroom, how adaptive learning is making strides at a college, how maker spaces are changing innovation on campus, how to build your own edtech community, or the need for policy reform in various states are just the tip of the iceberg. Each year the programming has improved and included more educator focused sessions, lead by actually educators. It amazing to learn, share, and bring back into to others. 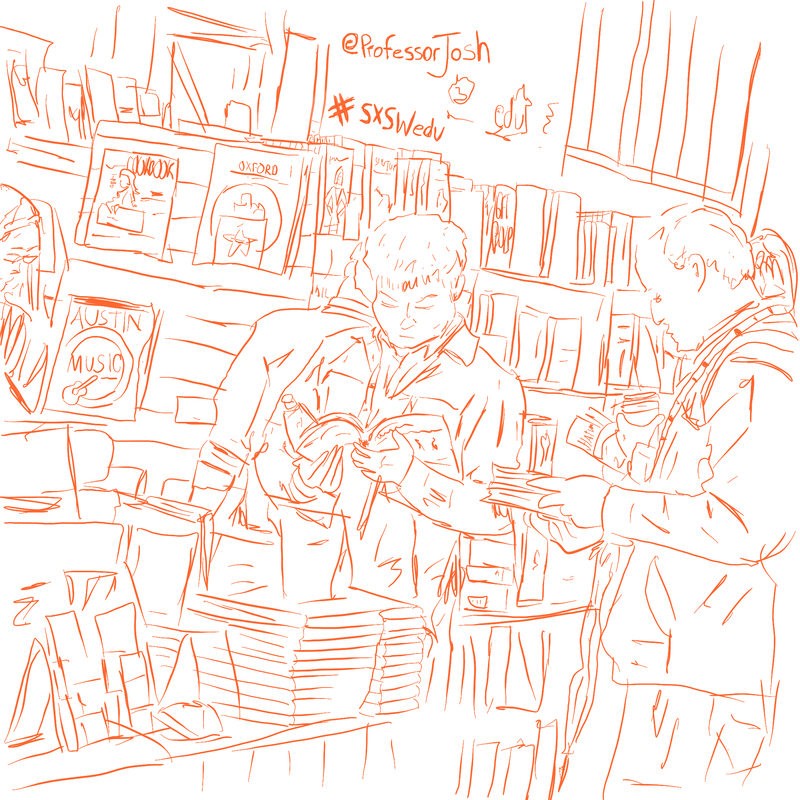 Hopefully you left SXSWedu invigorated, inspired, and educated. I’m ready to connect with new supporter, sponsors, edtech influencers, and community builder this year to take ProfessorJosh.com, EdTech Orlando, Startup Weekend Orlando EDU, and my own classroom to the next level! 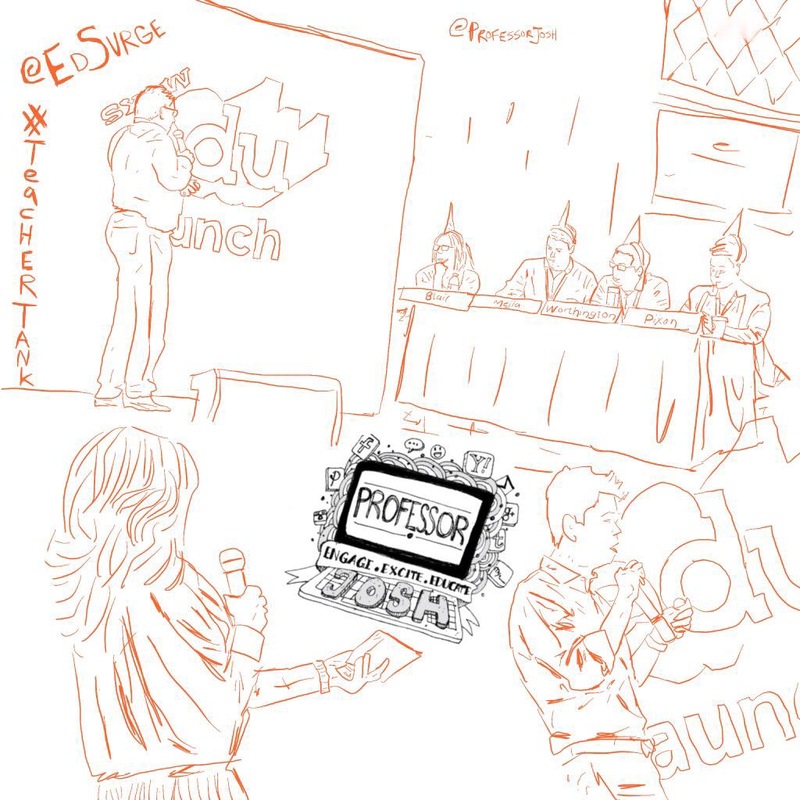 What did SXSWedu look like in 2015 for you? I would love to read your comments below or reach out to me online. I would like to thank The Law Firm of David G. Mitchell PA for his continued support of ProfessorJosh.com and EdTech Orlando. « What Will You Buy For Five Dollars On Fiverr?